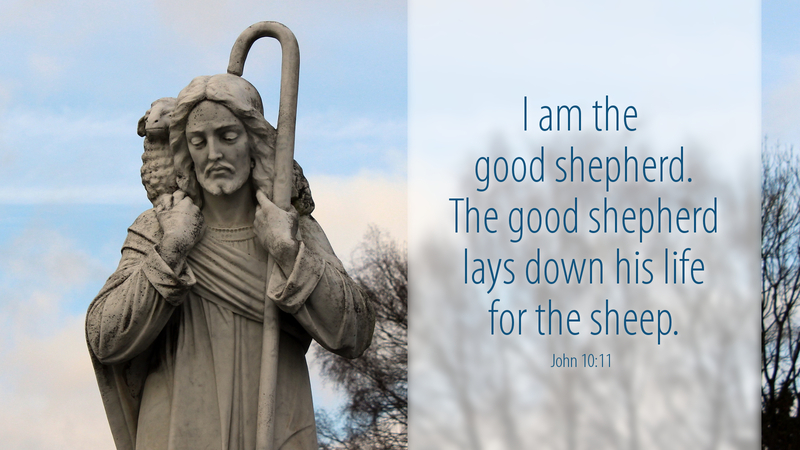 How do you picture Jesus as the Good Shepherd? Does Jesus appear wearing a clean white robe, perhaps carrying a lamb on His shoulder? That is a familiar image, but a friend who actually raises sheep tells me a white robe would not have stayed white very long for any shepherd who was really working with the sheep. Sheep wander off, their coats of wool get dirty and dusty, coated with mud and often tangled with briars. Shepherds taking care of sheep get dirty and dusty too. Prayer: Lord Jesus, thank you for coming to be our Good Shepherd, taking on our sins so that we might be clothed with the white robe of your righteousness! Amen.